Learning, solving problems, unraveling new findings, studying ocular vascular function at a cellular level are what drive my research. 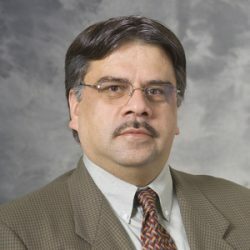 Dr. Sheibani is a trainer in the Cellular and Molecular Biology, the Cellular and Molecular Pathology, and the Molecular and Environmental Toxicology Graduate Programs. Diabetic Retinopathy, Retinopathy of Prematurity, Animal Models, Retinal Vascular Cell Biology and Signal Transduction. The growth of new blood vessels from preexisting capillaries (angiogenesis) contributes to the pathogenesis of many diseases, including retinopathy of prematurity, diabetic retinopathy, and age-related macular degeneration, the major causes of blindness. Understanding the molecular and cellular mechanisms that regulate angiogenesis and, how their alterations contribute to growth of new blood vessels, has significant clinical impact. Our laboratory has demonstrated that thrombospondin-1 (TSP1), an endogenous inhibitor of angiogenesis, is an important modulator of retinal vascular homeostasis. Mice deficient in TSP1 fail to undergo appropriate vascular pruning and remodeling during postnatal vascularization of the retina; as a result they exhibit increased retinal vascular density. This finding opens many new questions relating to the molecular and signaling mechanisms that mediate TSP1 activity. We have prepared cultures of vascular cells, including endothelial cells (EC), pericytes/smooth muscle cells, and astrocytes from TSP1-/- and wild type mice. A goal of our lab is to determine the role TSP1 plays in coordinating the interactions among these cells during postnatal vascularization of the retina. Gene array analysis of retinal EC, with and without TSP1, has also identified a number of genes whose expression is differentially regulated. We are determining how alterations in the expression of these genes impact retinal EC phenotype and angiogenesis. Similar studies are being performed addressing the function of other angiogenesis related genes including CYP1B1, PECAM-1, endoglin, and members of bcl-2 family of proteins. In separate studies, we have discovered that TSP1 is present at a significantly high level in the vitreous and aqueous humors of normal eyes, but its level is decreased at these sites during diabetes. Therefore, changes in TSP1 levels during diabetes may contribute to the development and progression of diabetic retinopathy. Our current studies indicate that in the absence of TSP1, the development and progression of retinopathies, as well as nephropathies, are significantly exacerbated in a novel diabetic model developed in our laboratory. Utilizing these mice, we are studying how lack of TSP1 exacerbates the development and progression of early diabetic retinopathies and nephropathies. Future studies will focus on the contribution of TSP1 to altered cell adhesive interactions that results in loss of vascular cells, leakiness of blood vessels, hypervascularization of the retina and kidney, and loss of vision and renal function in diabetes. Similar studies are being performed with another endogenous inhibitor of angiogenesis, pigment epithelium derived factor (PEDF). The results of these studies will have great impact not only in understanding the mechanisms which normally keep ocular and renal vasculature in check but also aid in the advancement and design of new therapies to prevent loss of vision and kidney function in diabetes.